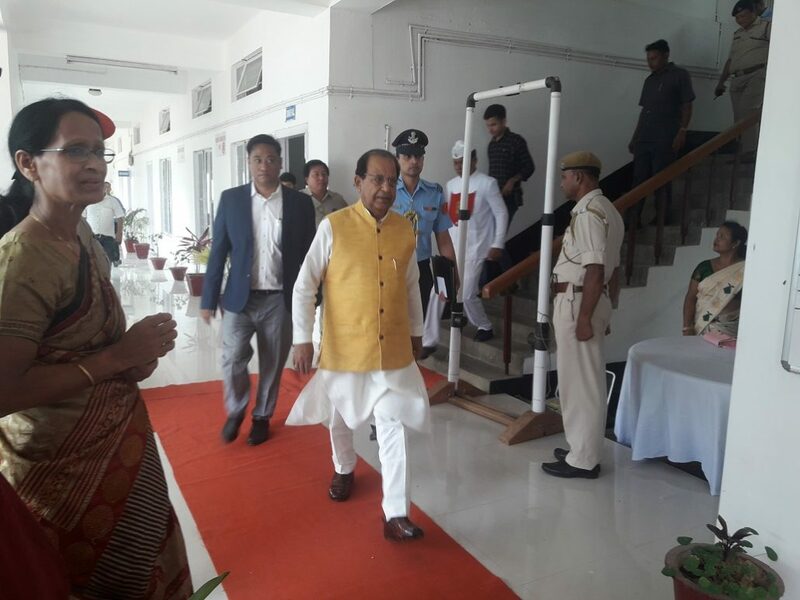 The denizens of Haflong in Assam’s Dima Hasao district came to terms with VIP culture for the first time during the two-day visit of Assam Governor Prof Jagdish Mukhi. The commuters, especially the school going children, had a harrowing time since Prof Mukhi landed at Haflong on Wednesday forenoon by a special helicopter. The ordeal continued till Thursday afternoon as the Governor moved about the town visiting several government offices, schools and hospitals in the district. The traffic was halted on the roads to be taken by the Governor almost an hour ahead of his journey. The road from the Assam Rifles ground to the circuit house was closed for vehicular traffic much before his landing at the helipad situated in the Assam Rifles ground. Even during the evening hours, when the Governor had to go to the Assam Rifles headquarter for his dinner, traffic was brought to a grinding halt almost 40 minutes before his departure causing much inconvenience to the general public. Even auto-rickshaws did not ply in the main roads of the town putting the commuters to much inconvenience. Things were not different on Thursday morning when more than 500 students and their guardians of Haflong kendriya Vidyalaya. The Governor went to visit the jayon village and the traffic was brought to a standstill during the morning hours. Later a massive traffic snarl took place in the town. Even in the afternoon, the students of the Kendriya Vidyalaya were kept waiting in the scorching heat for more than 40 minutes even after their school got over because of the Governor’s visit. 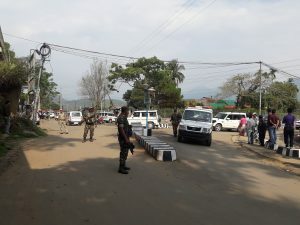 Locals have alleged that despite Prime Minister Narendra Modi’s tall claims of doing away with VIP culture, a totally different picture was witnessed at Haflong during the Governor’s two-day visit. The locals have also said that even on earlier occasions, Governors and Chief Ministers had visited the town, but the scene was never like on this occasion. The Governor also raised quite a few eyebrows with his weird comment when he said that there is no need for higher education. During his interaction with representatives of various parties and organizations, the Governor had said that one can just pass class X and take up courses in polytechnic. The Governor also exhibited his ignorance about the accord signed with the DHD rebels. Prof Mukhi also expressed his ignorance about the national highway that passes through the hill district as part of the east west corridor.